The story is focused on Hook's daughter. She is a brilliant new character from the outset when she is trying to fit in at finishing school and not doing very well at it at all. 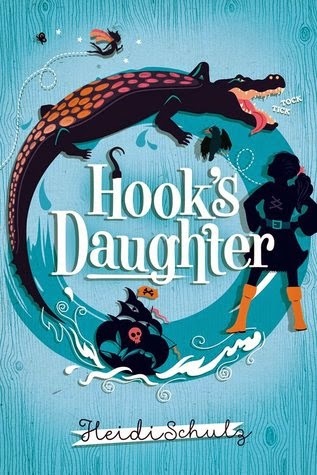 I enjoyed getting to know this feisty young girl and seeing her come into her own whilst taking on the role of Captain of Hook's ship and seeking revenge for his death. All in all a fabulously charming read which I thoroughly enjoyed. Oh this sounds brilliantly wonderful retake on familiar characters!